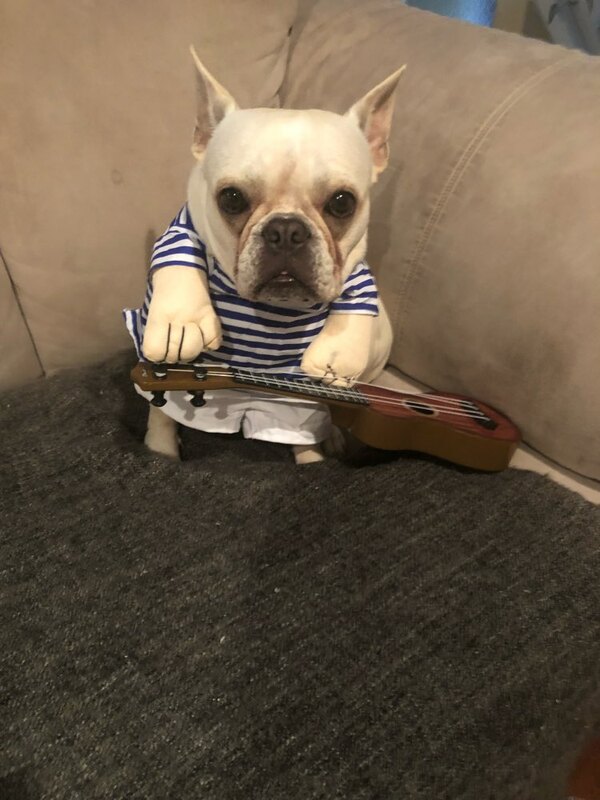 This rockstar guitar dog costume will have people roaring with laughter! How can you not have the best mood after seeing your furball in this cool dog costume! Rock on! High Quality Materials - Made of high quality polyester and made with delicate details and care, lightweight, soft and breathable. Easy to put on and take off. Best Gift For You Pets - Perfect for Everyday Walk, Weekend Parties, Halloween, Christmas, Birthdays, Weddings or just making your pet look its best. Please note that the wig is not included. Do you also want to have the wig? You can find it here!